So you all know by now about my tendency to hoard face oils, but did you know I used to actually be afraid of using oil-based products and avoided them like the plague? I thought that because I had combination skin that was prone to spotting (mainly hormonal blemishes, but still! ), I couldn't try anything that was slick or would increase the grease. Well, when I finally found out that was totally wrong I was shocked! All those years of potentially clear, healthy skin were lost. I have heard a lot of similar stories recently, so I thought it was time to answer some Frequently Asked Questions about these magical skin potions, and maybe even help some of you choose the best oil for your skin type. Ready?? 1. Why on earth would I use oils on my already oily skin? You ever hear that sciencey phrase, like dissolves like? It really does apply here! The oil produced by your face (sebum) can be cleansed and dissolved by an oil product, and not only that, the oil you use can actually help regulate the oils you are naturally producing. It essentially tricks your body into thinking it does not need to produce any more oil! 2. But I don't have oily skin. What other benefits are there? What benefits aren't there?? Depending on the oil used, the product can reduce wrinkles and the appearance of fine lines, moisturize, reduce clogged pores, balance acne, brighten skin, even complexion, calm and sooth irritation, fortify and strengthen the skin's barrier, protect against pollutants, and more. 3. I'm sold, but how do I know the oil I am buying is a high quality product? Check the ingredients before going any further with your purchase! There are three kinds of oil you might encounter -- 100% pure, blended, and diluted/over-processed. Pure oils are single ingredient products, and the label should reflect that fact. Blended oils are a mix of several types of carrier oils (and sometimes essential oils) that are combined to target a variety of skin concerns. Both pure and blended oils are great, and can be used in a variety of ways. The one you want to avoid is diluted and over-processed products, as these oils tend to be low quality and mixed with loads of filler ingredients and potentially toxic additives. 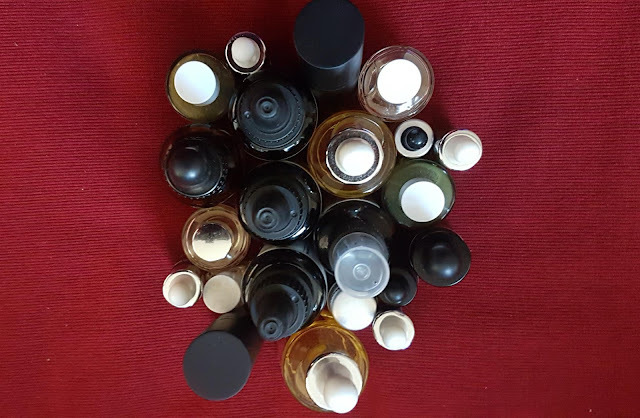 These low quality oils are usually able to be recognized by their long list of ingredients (usually containing several unpronounceable words) very strong smell or a lack of any scent, a watery texture, and low price. There are two types of oil -- refined, or unrefined. Refined oils have been created using chemicals and/or heat treatments which then remove any unwanted elements such as natural toxins (like ricin in Castor Oil) and unpleasant smells. While there are benefits to refined oils (they have a longer shelf life and have little to no scent making them great for blending with essential oils), these products no longer contain the high level of nutrients found in their unrefined counterparts and are often artificially bleached and deodorized. Unrefined oils, on the other hand, are mechanically extracted, which leaves the final product mineral-rich and highly effective. The process can be either through squeezing the oil from the source without any temperature regulation (expeller pressed) or by keeping the heat to a minimum (cold pressed) to retain as much of the natural fragrance and colour as possible. When hunting for your ideal beauty oil, look for unrefined, cold-pressed products, as these will be the most untampered with and should yield the most effective results. 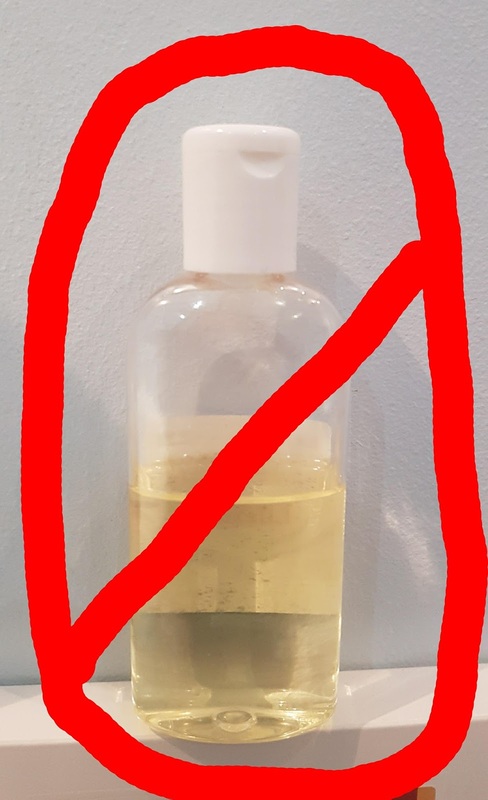 You should also take note of the type of container your item comes in, as oil in translucent bottles can be degraded by sunlight and cheap plastics can cause nasty chemicals like BPA to leech into your product. Try to opt for dark glass containers when possible, and when buying online, check with the company beforehand so you avoid any potential disappointments. 4. Okay, but what type of oil should I be looking at for my skin type? Dry - Look out for oils packed with fatty acids and Vitamin E like macademia, jojoba, almond, grapeseed, apricot, meadowfoam seed, and buriti. Aging - You want oils that have cell-repairing, collagen boosting, and fine-line reducing qualities such as seabuckthorn, argan, rosehip seed, cacay, pomegranate seed, moringa, and chia seed. Oily/Acne Prone - Opt for anything high in linoleic acid or that has antibacterial qualities, like tamanu, grapeseed, pumpkin seed, hemp seed, evening primrose, rosehip seed, sesame, or sunflower. Discolouration - Try an oil that has tyrosinase, an enzyme that brightens the skin naturally. Rosehip seed is great for this, as is papaya, mustard, sesame, and argan. Sensitive - Test before fully applying, but anti-inflammatory oils could do the trick. Look for borage seed, hemp seed, avocado, and evening primrose. Finding you have combination skin or multiple skin needs? No worries! You can opt for an oil that is ideal for multiple skin types like rosehip oil, or make or choose a blend! 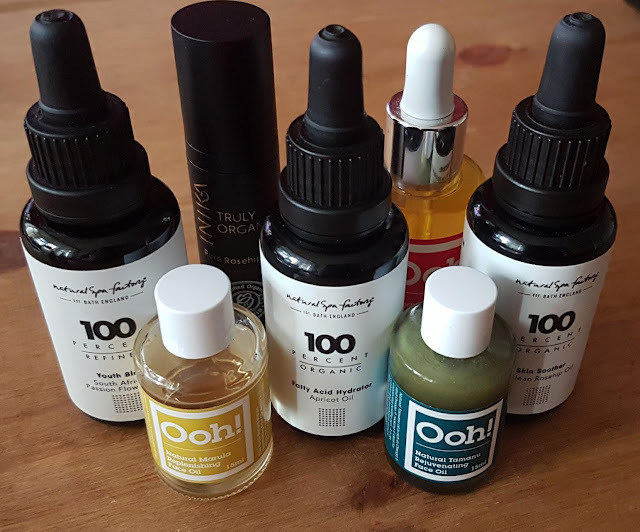 Pre-made oil blends will all list what the product targets on the label, so simply look for your skincare needs on the item. Remember that Frankin-Sense Divine Serum from Awake Organics I talked about in my Face Oil Showdown? That was a blended oil containing thirteen oils/botanicals, and it did wonders for my combination skin! Or you can combine two base oils yourself and have a good old fashioned DIY -- have dry, oily skin? Try a 50/50 mix with jojoba and argan! 5. Are these oils just for the face? No! You can use base oils like this for so many things, including making your own bath oils, body oils, lip balm, body balm, deep conditioner, shaving oil, eyelash serum, face mask, massage oil, sugar scrub, or even a bronzing mist. There isn't really a limit to how to use these oils, and I would love to hear all of your ideas down in the comments! Base oils can really change your skincare game, and when you pick the right one (or combination of several) you definitely notice the difference. Personally, my skin has never been as soft, clear, smooth, or radiant as it is now, and I owe most of that to the small changes I have made like introducing oils into my routine. So what do you think about oils? Are they something you use regularly? Were you as scared of them as I was? Keep an eye out for a follow up post on Sunday, where I will be putting my DIY skills to the test. I will be taking three oils from Natural Spa Factory and making some lovely treatments perfect for your Valentine or your Galentine! Want to make them alongside me? Grab 5% off your first order by signing up for their newsletter. I'm a big fan of good facial oils. They make my skin feel great. Great post! I have been searching for organic skincare blogs!!! I just use a cream but, this seems pretty good. One question, how do you know what products are over-processed? Are they labelled in such a way to avoid say that? oils that say "refined" are processed, so if that processed oil is also very cheap or has several unpronounceable ingredients on the label that is a big red flag. Also, be sure to buy from reputable companies -- if they don't disclose any information about the oil, it probably isn't a quality product. Hope this helps! I only invested in a facial oil recently and boy do I regret not purchasing one sooner! My skin has never been softer and healthier! Thank you for the tip about purchasing oils in glass bottles though, I wasn't aware of the issues with plastic ones! I must admit I've never used a face oil as I worried that my skin would feel greasy. After reading this post I'm definitely more interested in trying one out. I confess I've never tried face oils before, but your blog post has encouraged me to give them a try! Very informative, thank you!